To understand the components and how they work, see the diagram and tables below. 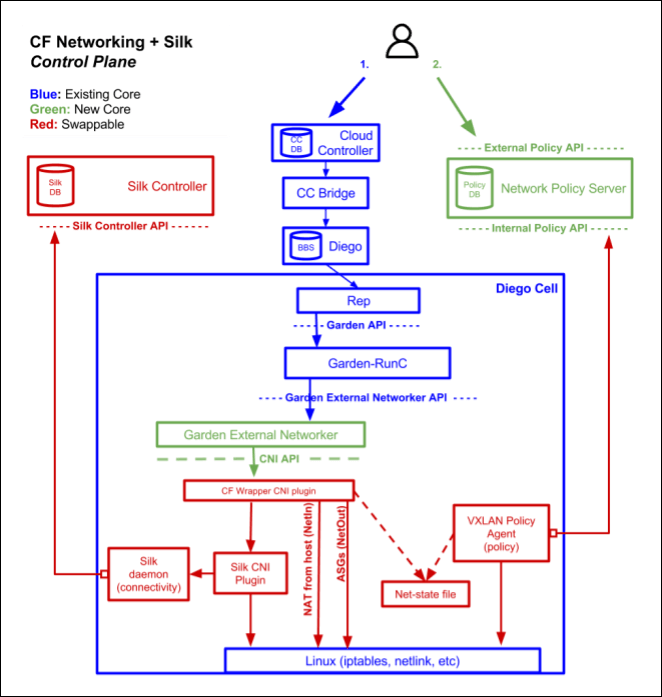 The diagram highlights Cloud Foundry components in blue and green. The diagram also highlights swappable components in red. The Cloud Foundry platform supports DNS-based service discovery that lets apps find each others’ internal addresses. 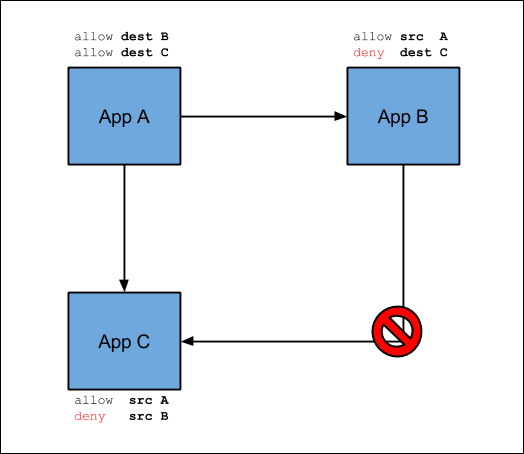 For example, a front end app instance can use the service discovery mechanism to establish communications with a back end app instance. See the Developer Guide for how to set up and use app service discovery.